A Welsh girl in Australia: Catching up and all that jazz. Catching up and all that jazz. I've been slightly neglectful this last week haven't I? Actually I've just switched off. Yes, just taken a little self imposed ipad/laptop/computer break. I have been rather busy, but that's nothing new really. Just the usual end of school year type activities and preparation, some domestic type jobs and decisions that have needed to be seen to and planned. 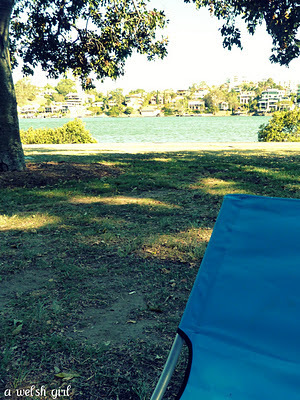 So my days have been pretty full and then in the evening I have just not been in the 'blogging space'. I love this little blog. It's mine! I usually look forward to a daily fix and a catch up with all sorts of stuff happening around the globe. I guess a rest is as good as a....well, let's just say a rest can sometimes be a good thing. I have the house to myself tonight, the humid start to the week has given way to a cooler evening and my fingers can't keep up with my brain as I type away. Where do I start? Well after last Friday's ice cream and magazine fix the weekend was pretty full. 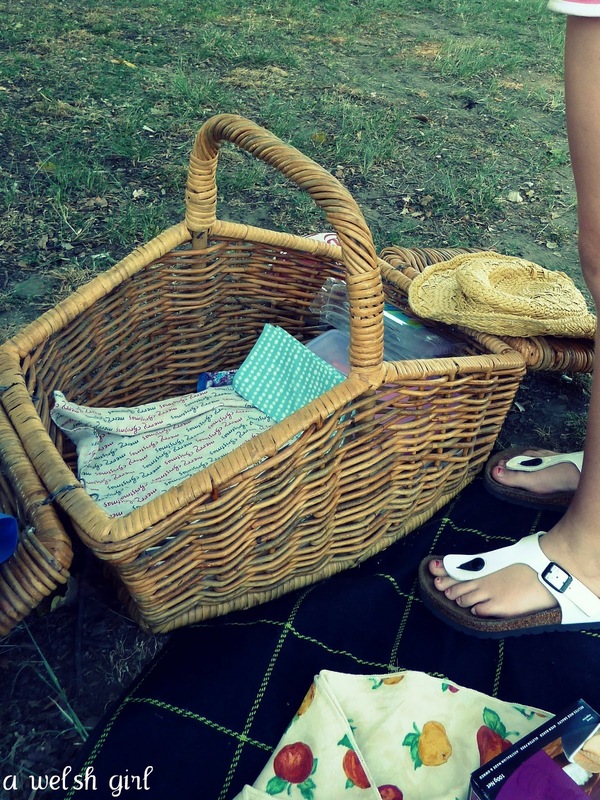 On Saturday we headed to the river with a picnic and a book. There was a lot of people watching so the books didn't get much attention. The river is looking pretty high, which is a bit of a worry as we haven't started the rainy season yet. I think that I read somewhere that some water has been released from the dams to make room for the rain that is forecast for the Summer. Keeping everything crossed that we don't have a repeat of anything near last January's floods. After a bit of a snack and after the sun had started to set we headed along the pathway to the Powerhouse. 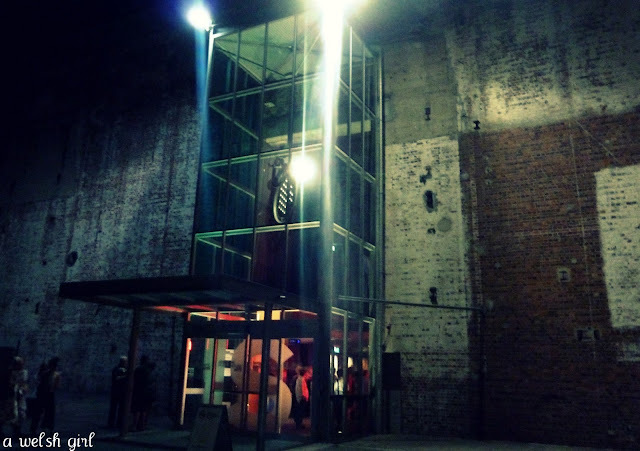 The Powerhouse is an arts centre and on Saturday evening we went to a jazz concert featuring the very talented Madeleine Paige. What a great few hours. 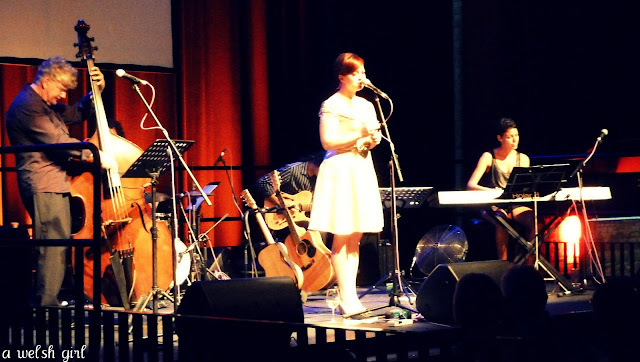 Madeleine has a beautiful captivating voice and a friendly rapport with her audience. She was launching her new album 'Life Raft' and also singing some of her other material. We haven't stopped playing the CD in the car since Saturday! It was so lovely to sit and listen over a glass of wine - "why don't we do this kind of thing more often?" 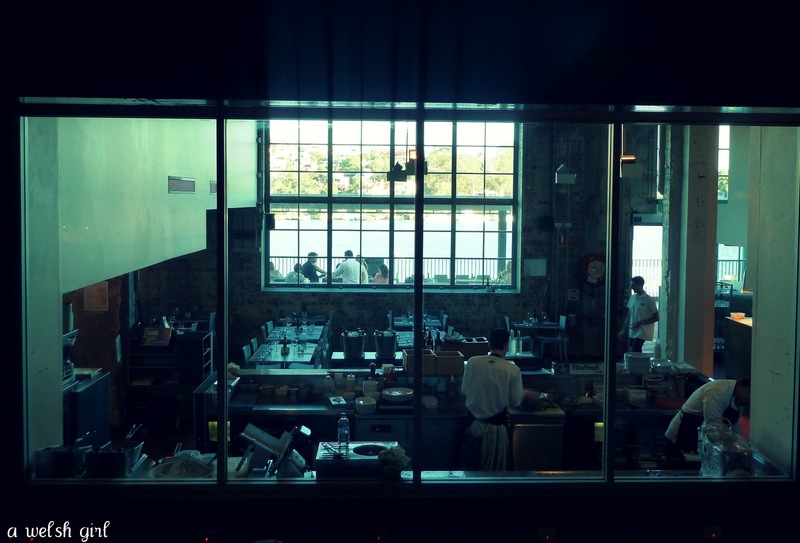 Looking into the kitchen of one of the restaurants at the Powerhouse with the river in the background. This city has so much to offer and when I do things like this I feel like I'm on holiday. I think we all need to take time out now and again Beth, it's good for the soul. Loving your new header btw. Hi Beth, I haven't been in a very blogwise mindset either this week, so am just prowling around now, doing a bit of catching up on my favourite people. I hope your weekend is lovely! No need to apologise when real life beckons, have a lovely weekend.